White wine with your steak? Red wine with your seafood? Yes, please! Mankind as we know it will not cease to exist if you decide you’d like a bottle of white wine to go with your steak. While it’s true that you’ll generally see red wines paired with red meats, you don’t have to go that route if you don’t want to. There are many white wines that will pair well with steak—and sometimes, you’re just not in the mood for the bold flavors of a red wine. 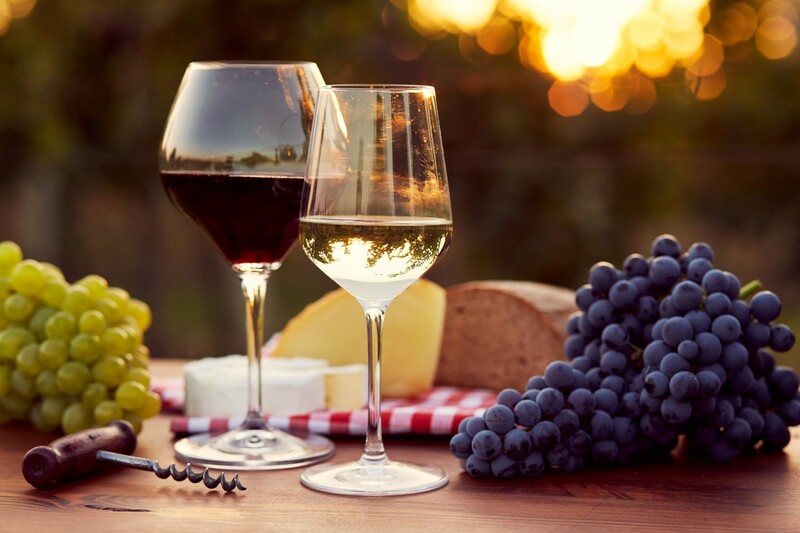 Here’s what you should keep in mind when pairing wine with food, as well as a few suggestions involving our own wines. It doesn’t matter whether it’s red or white: you’ll need something that’s got enough acidity to cut through the beautifully marbled fat of a luscious cut of meat like chateaubriand. Our suggestion would be a bottle of our 2013 ES Cabernet Sauvignon LIB. Yes, it’s predictably red—and fabulously so. Each sip rewards you with a mouthful of rosemary and eucalyptus herbal aromas that take your bite of beef to the next level of flavor enhancement. The savage nature of this grape has been slightly tamed by a few years of aging, yet it’s still bold enough to work well with the creamy mushroom sauces often served with chateaubriand. What would we suggest if you wanted to stray into white wine territory? Look for something bright, with a good deal of minerality. Again, it’s to help with all that marbled fat that makes this cut of beef so fabulous. Pop the cork on a bottle of champagne. The bubbles will lift the fatty richness of a bite of chateaubriand off your palate. A Mediterranean Plate of Olives, Cheese, and …? Keep your palate in a globetrotting mode and choose an unexpected pairing like our 2015 Viognier. Your first challenge will be to pronounce it. The French grape variety flows off the tongue as “vee-own-yay.” People often mistake it for chardonnay, as both wines are full-bodied and share a creamy texture. Your nose will distinguish the difference. It’ll report yellow apples and lemons if it’s a chardonnay. 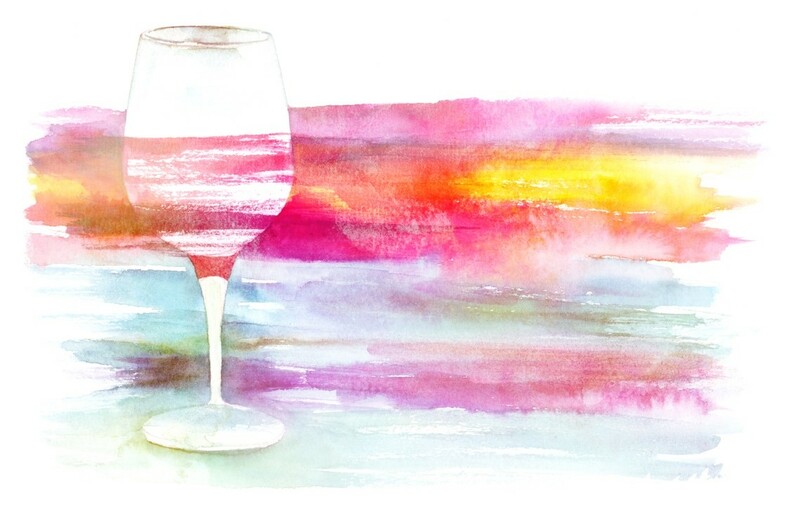 If there’s viognier in your glass, your nose will send you signals for tangerine and roses. There’s no other way to describe this next characteristic. 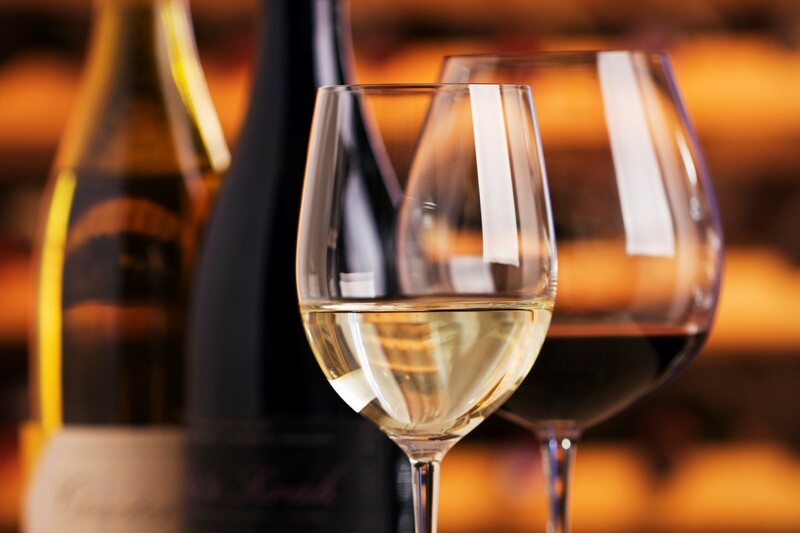 A viognier starts with a softness that delivers an oily feeling at your mid-palate. For this reason, it’s perfectly paired with any dish that has paprika, turmeric, or saffron. It’s right at home with olives, or anything that includes butter. You’ll want this over a chardonnay because the latter’s creamy or waxy contribution to your palate may interfere with some cheeses. A Grilled Fillet of Halibut, Tuna, or Salmon, and …? We’ve already stuck our respective noses up at the concept of sticking with a red wine for red meat. We’re going to keep on in that direction by suggesting our 2014 Malbec. You’ve probably started hearing about this red wine, which is now being grown in many places other than its native Argentina. Your first taste of a Malbec may make you say, “Ah, a merlot.” They share that earthy and woody character. And like merlot, Malbec often was only used as a blending grape. Many cabernet sauvignons will use it to achieve a mellowness and balance. But give that sip of Malbec a moment to develop. You begin to taste a rustic characteristic that the simpler merlot just can’t establish. Your nose will flash sensations of earth and perhaps even chocolate. If you pair Malbec with red meat, the enzymes will soften the tannins of the wine and let this fruitiness shine through. However, a grilled, thick-fleshed fish fillet leaves the mild tannins in place. You will love the results. There are more wines on our list. We’ve got suggestions on what to pair for all of them. The rest of those suggestions will cost you a visit to the winery. Your reward is a taste of a superb family of wines. Judging the quality of wine is often subjective. Every individual has a preference and one person’s “favorite” could make another turn up his or her nose. However, there are three general areas that can be used to determine the quality of any bottle of wine: complexity, intensity, and balance. There are several nuances that can lead to greater complexity. Start with the vineyard and the notion of terroir. According to thekitchn.com, “Older vines as well as vines grown on poor soils tend to produce less grapes, but more concentrated, flavorful ones. This adds complexity.” Winemaking techniques can also affect the complexity. An approach that is more non-industrial will generally produce more complex wine. Barrel fermentation and the blending of different grapes are also ways to add complexity. Intensity has more to do with the ability to identify and distinguish the flavors present. It also relates to a wine’s appearance and aroma. The key is to have a very complex taste that still allows all the flavors and notes to be clear. In terms of appearance, the more concentrated and opaque the color, the higher the intensity should be. You will often see wines described as “pale, medium or dark” and this is an indication of intensity. The darker the color, the more intense the wine should taste. How can you judge the intensity of a wine? Here is a tip from Wine Spectrum. Tilt the glass slightly (this works best against a white background - a napkin or tablecloth work nicely). Now, look straight down at the wine from above, the richer/ darker the color, the more intense the wine. Sweetness: A sweet wine needs a good balance of acidity or it will taste syrupy. Acidity: Too little and the wine will taste heavy or flat. Too much and it will be austere and tart. Tannin: Tannin is an element that makes a wine taste dry. It adds bitterness, astringency and complexity. However, there needs to be sufficient fruit concentration so that as the tannins resolve (as the wine ages), there is still enough fruit flavor present. Too much tannin and the wine will be sharp and harsh to the taste. Alcohol: Too high and there will be a burning sensation on the finish. Too little and the wine will taste hollow. Fruit: Wines with insufficient fruit will have a weak, thin flavor. Now that you know the three main ingredients that go into a quality wine, start judging for yourself. 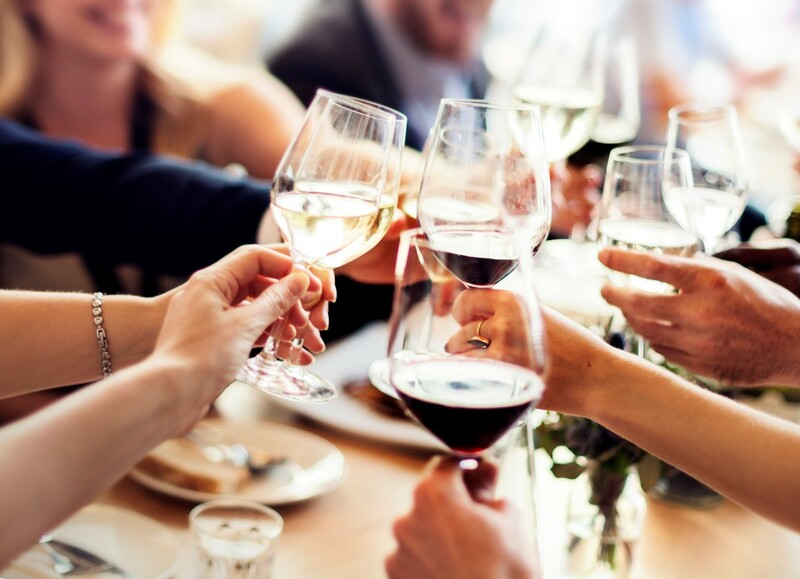 To find the perfect wine for your next dinner party or event, visit Orange Coast Winery and review our selection of fine wines for every price range and palate.